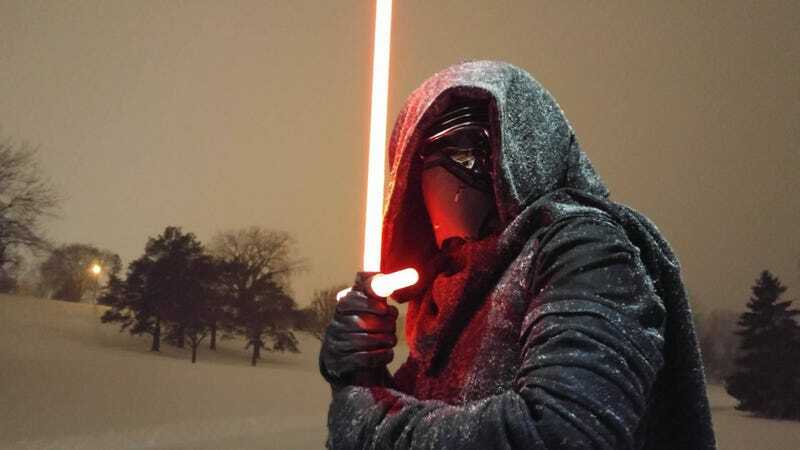 There’s already a ton of great Kylo Ren cosplay out there, but I haven’t seen one go the extra mile like Alhon has. ...end of Force Awakens without travelling to Starkiller Base (or the inside of a Hollywood effects studio). Well...except for the baseball field fence there in the background.